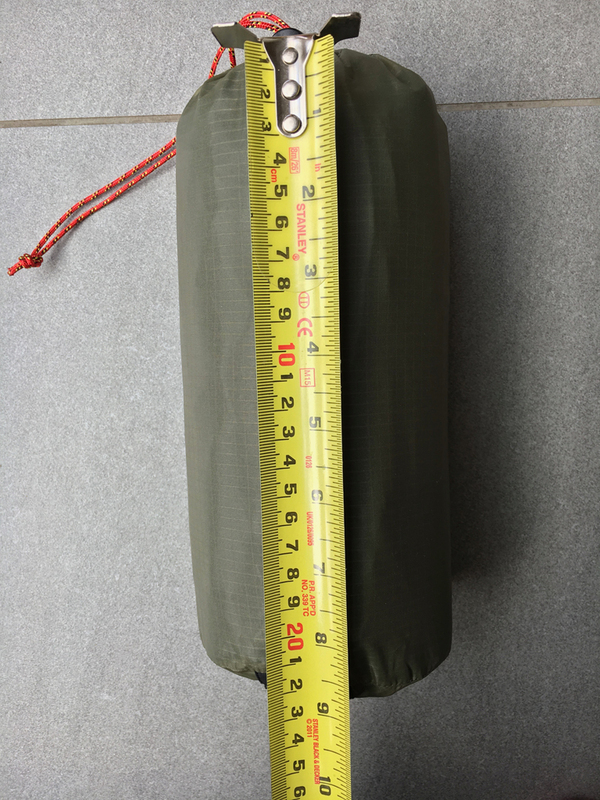 So I’ve sold the above and bought a new bivvy that I’m hoping performs better. 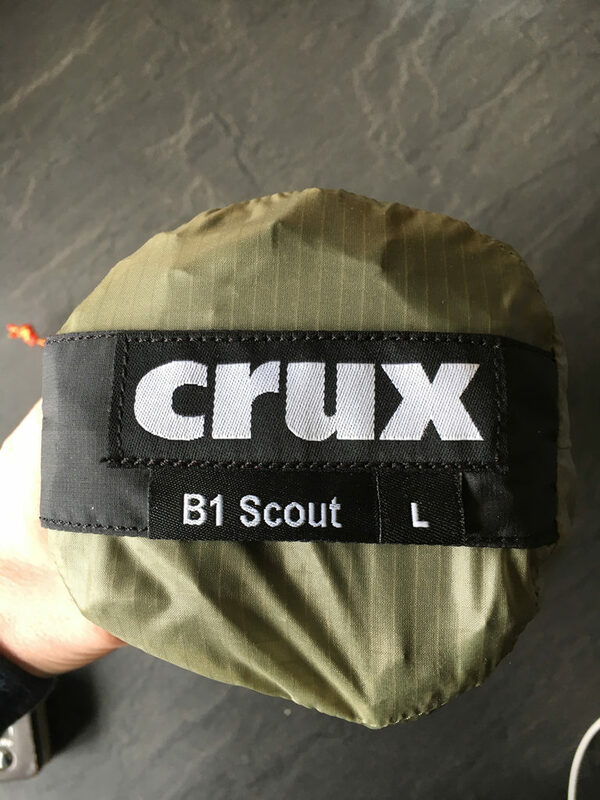 Crux, a new name to me but they’ve been around since 2002 and started out producing tents. From around 2007 they started making rucksacks and waterproof shell equipment. They now have a range of tents, rucksacks, shell gear, bivy bags, down clothing and sleeping bags. 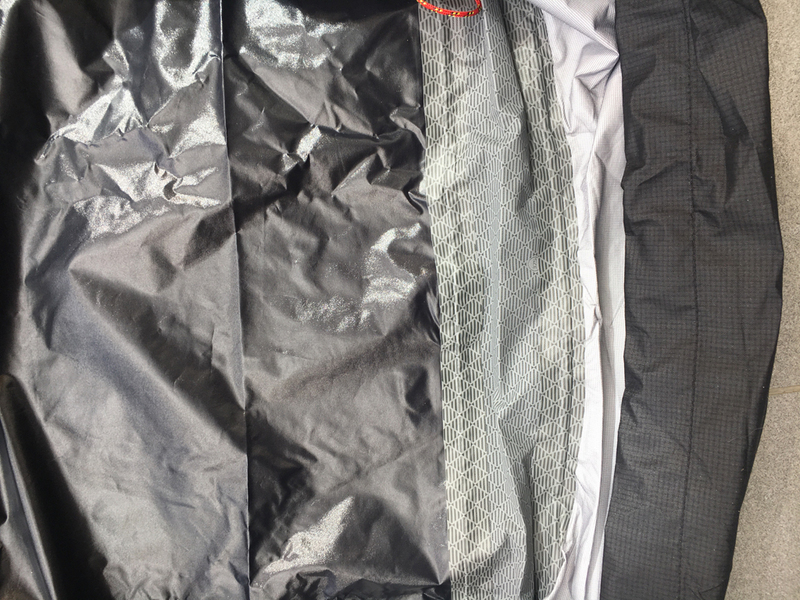 I first heard about them when I started looking for a replacement waterproof jacket as my Rab Spark had let me down with a faulty zip. I bought their Shok Jacket (may review later) which is a 3 layer jacket and much heavier duty than the Rab. It’s probably not a fair comparison as the Rab Spark and Crux Shok are aimed at different markets. The Shok is very well made and feels much more robust. The downside is it’s heavier, but not a huge amount. First impressions of Crux are very good so I started looking at their other lines. They have a special offers section on their website and had a Crux Halo Top (may review later) reduced from £199 down to £60! The top is a 100g 800fill down top that weighs approx 240g. For the special offer price it’s a bargain. Again the construction is top quality and I’m very pleased with it. 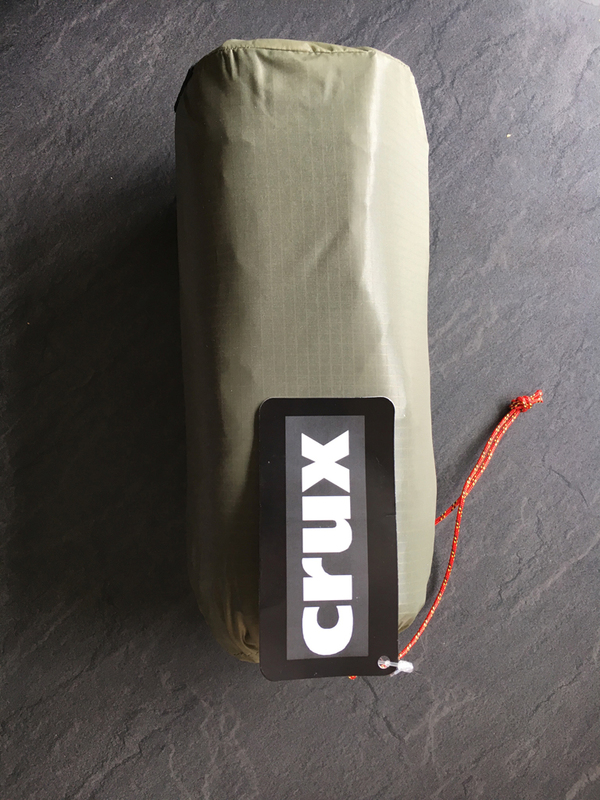 Back to bivvy bags…I came across a range of Crux bivvy bags on the Ultralightoutdoorgear.com website, which oddly aren’t listed on the Crux website. After talking to ULOG I was told Crux aren’t very good at updating their website with new products, so watch this space. 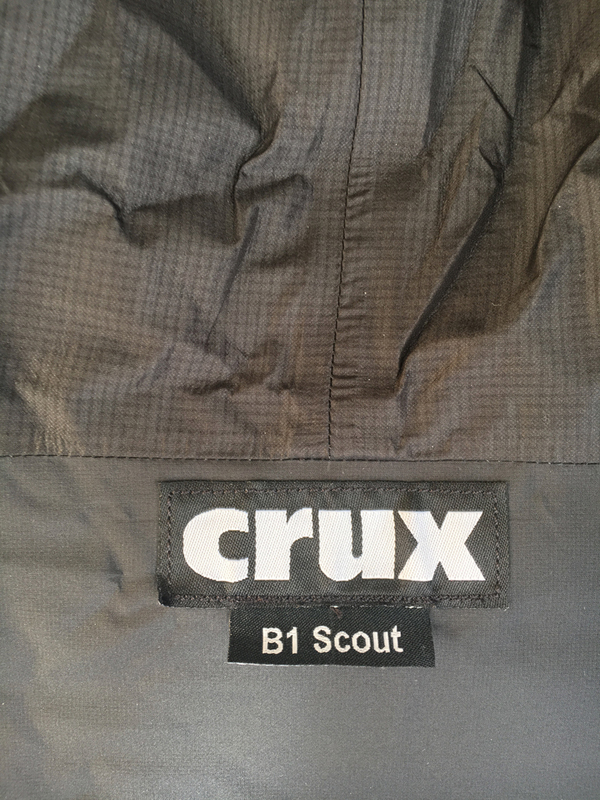 I ordered the Crux B1 Scout from ULOG which when it arrived had a “M” on the label, however ULOG didn’t mention any size options. It was a squeeze getting my PHD bag (Long, Extra Wide) into it and compressed it a fair amount. So a quick call to ULOG, initially they said Crux only make one size (medium), however I asked them to check with Crux. A call back from ULOG and sure enough they make a large version, great!! (only the Scout, not the Recce or the Patrol, Recce has a zip close head and the Patrol is hooped). So I returned the medium and they ordered the large version as a special order, although it was the same price as the medium they said it would be none returnable. I think this is poor to be honest as neither ULOG or Crux could provide me with any detailed info on the large version it was me taking all the risk. Given I’ve been a ULOG customer for such a long time and had a great service from them I was a little surprised this was their stance. The large B1 Scout arrived today and after a brief test on my kitchen floor my PHD bag fits perfectly!! 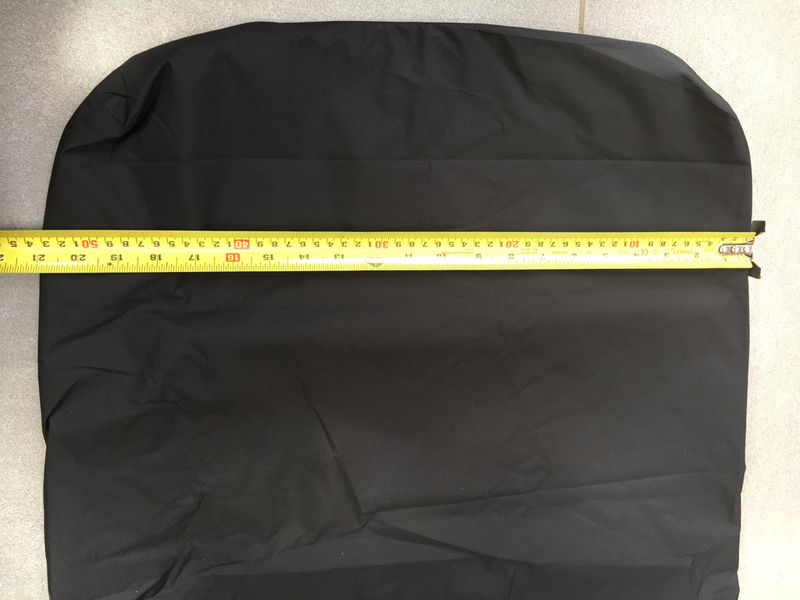 The large version is approx 10cm wider and longer than the medium which makes a huge difference. Laying the PHD bag on top of the Scout they’re the same dimensions (Scout very slightly longer). 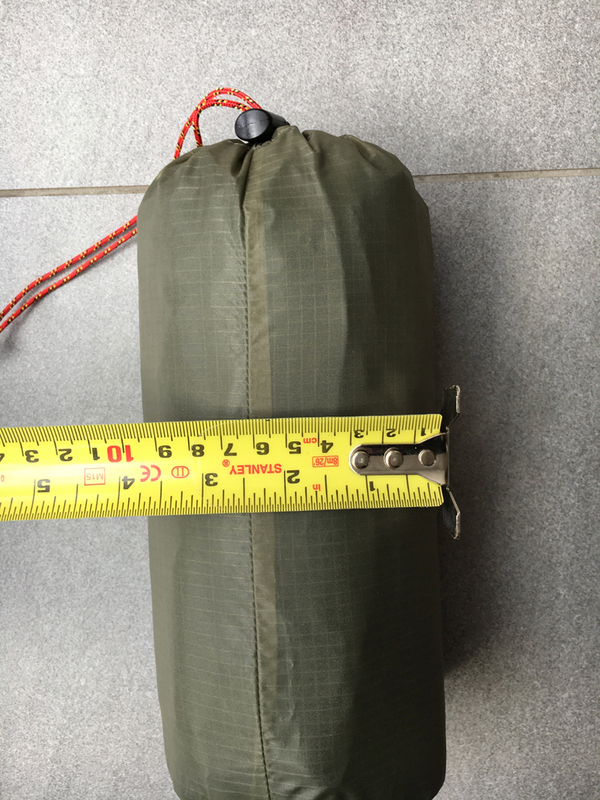 No compression to the bag other than the weight of the bivvy and enough room to move about in the sleeping bag without feeling restricted. 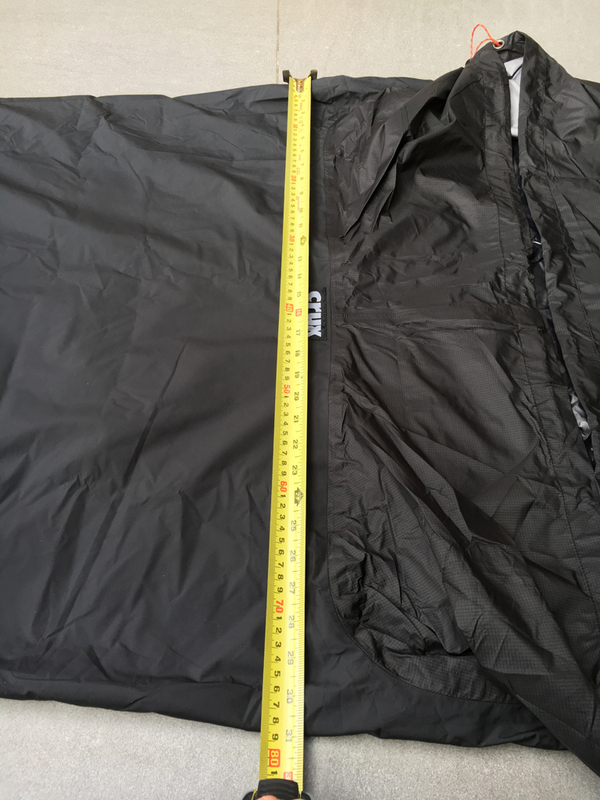 Obviously I won’t know about breathability until I get out and test it proper, but according to their specs it’s MVTR rating is 25,000g/m2/24hrs, which is about twice that of the Alpkit Hunka. 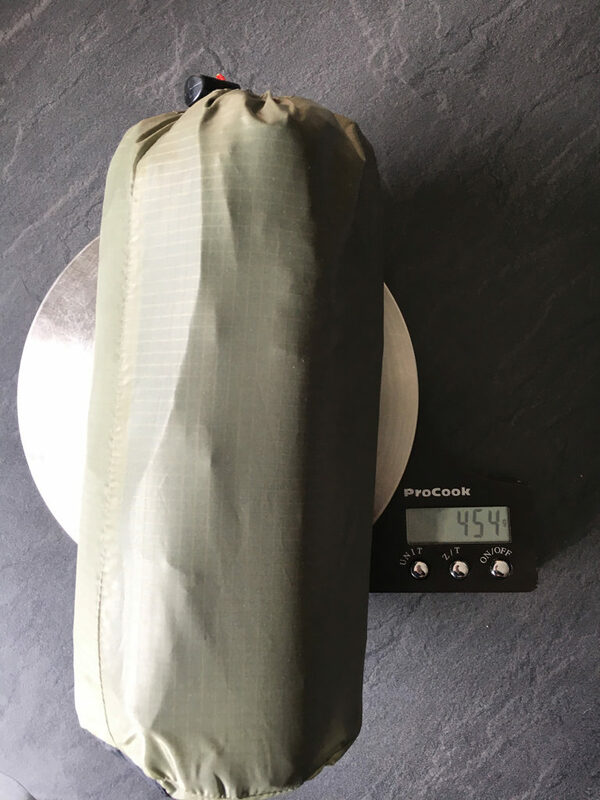 Weight wise it’s approx 450g, which is slightly on the heavier side but if it works better than the MLD Superlight then I can live with the extra 150g! I’ll be taking it on the TGO which starts in two weeks time so that will be a thorough test for it. 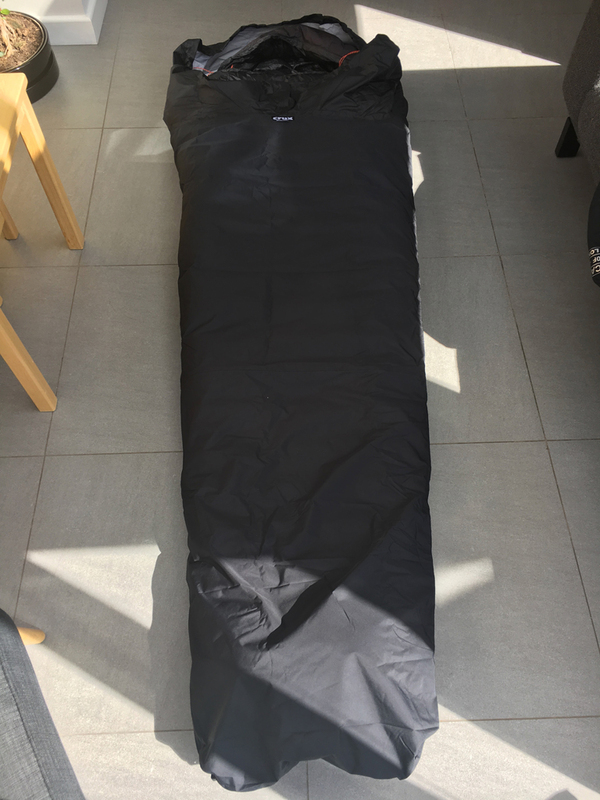 I’ll be using it under the Trailstar mainly as an extra layer of protection for my sleeping bag, but I may get a chance to test it on it’s own if the weather isn’t terrible. So far I’m very impressed with Crux, hopefully they continue to extend their range and update their website more regularly. 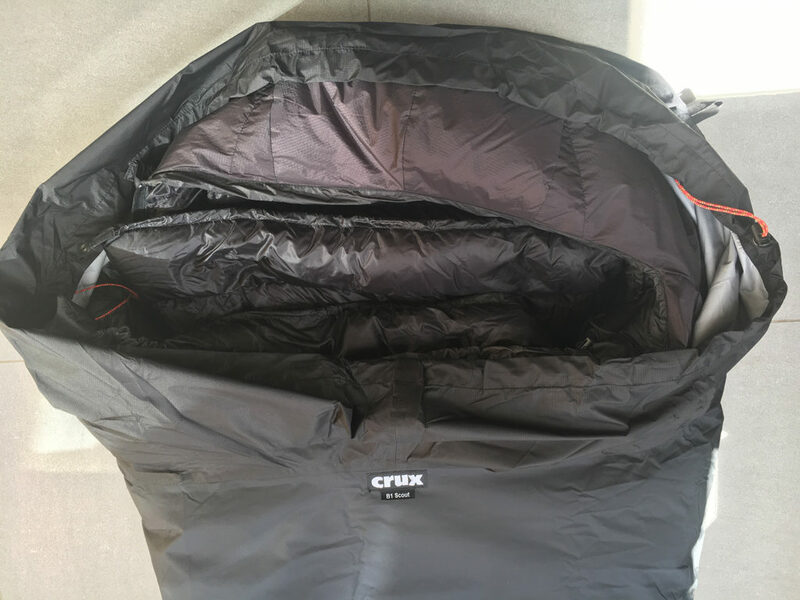 How did the Crux bivi perform on your recent trip? 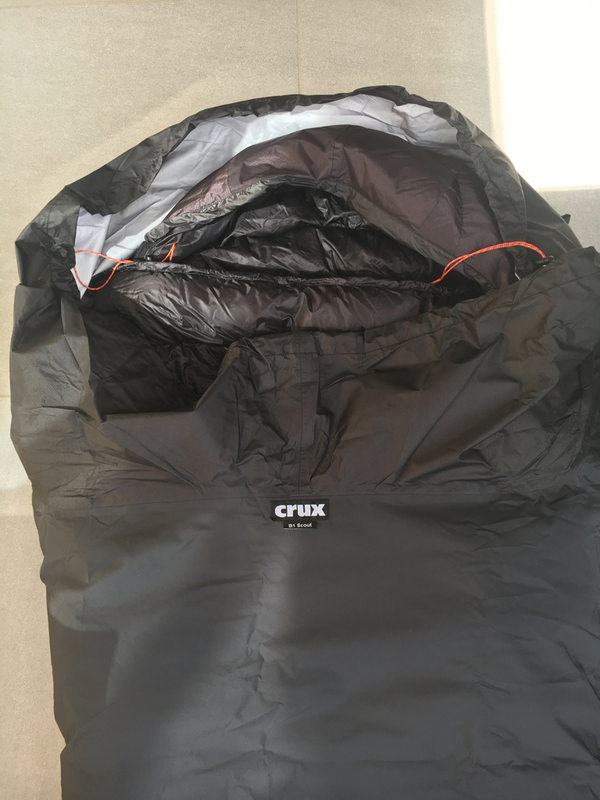 The Crux Bivi performed very well, I used it approx 7-8 nights while on the TGO and only had condensation once. The one time it did suffer from condensation was simply because it was very warm and humid. I was using it under my shelter so I can’t comment on how waterproof it is yet. 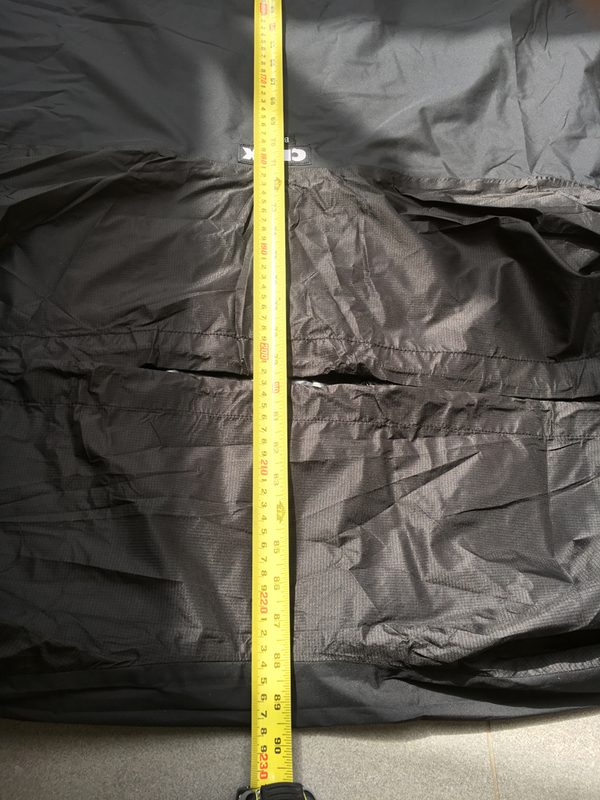 The sizing (large) for me (6’2″) is perfect with plenty of room for a thick winter sleeping bag. I’m very impressed with it so far and I’ll definitely be keeping hold of it to test through the year into winter. Thanks for the feedback Rich, will keep an eye out for updates.